Israel will host the 2013 European under-21 soccer championships, UEFA announced on Thursday. The draw for the 2011/13 UEFA European U21 Championship qualifying competition will take place on Thursday 3 February. posted:Thu, 27 January, 2011 19:24 UK. UEFA are set to announce who will host the 2013 Under 21 championship at the end of this week (Thursday 27th - Friday 28th). posted: Sun, 23 January, 2011 20:40 UK. 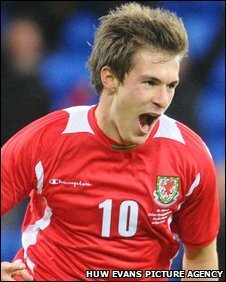 The FAW today (Thursday 13/01/2011)launched their bid to host the 2013 UEFA Under 21 Finals Tournament. The other countries also looking to stage the tournament are: England, Bulgaria, the Czech Republic and Israel. UEFA has not determined the format of the U21 tournament in 2015. 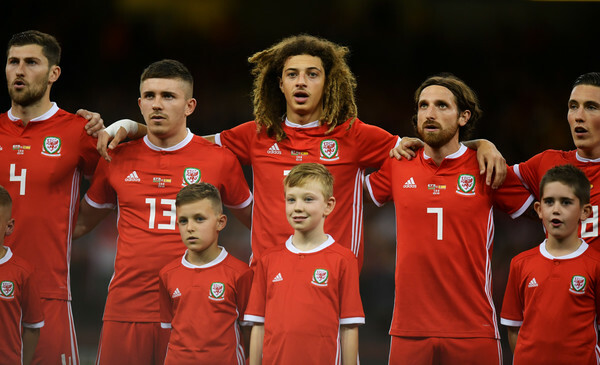 However, if the format remains the same and Wales is unsuccessful in their bid to host the 2013 U21 finals, it is the intention of the FAW to bid for the 2015 finals. For more news on the bid click the link to the FAW web site. posted: Thu, 13 January, 2011 19:23 UK. Serbia v Wales : Match date: Thursday 28 April 2011. Kick off 2pm, The Stadium, Sarpsborg, Norway. Norway v Wales : Match date: Saturday 30 April 2011. Kick-off: 4:30pm, The Stadium, Sarpsborg, Norway. Moldova v Wales : Match date: Tuesday 3 May 2011. Kick-off: 2pm, The Stadium, Sarpsborg, Norway. updated: Thu, 27 January, 2011 20:19 UK. The draw has been made for the Elite Round mathes of the 2010-2011 UEFA Under 19 Championships. Wales have been drawn in Group 6 along with Serbia, Norway and Moldova. Norway will host the mini-tournament with matches to be played on 28th, 30th April & 3rd May 2011. Wales qualified for the Elite round as runner's up to Turkey in the first round. posted: Tue, 30 November, 2010 18:45 UK. The Football Association of Wales will be holding a Roadshow at Aberystwyth Town Football Club on Thursday,January 20th at 7-30. A warm welcome for everyone. posted: Sat, 15 January, 2010 08:56 UK. The FAW have confirmed Vauxhall as a new lead partner. Vauxhall, one of Britain's leading automotive brands with a history of car manufacturing cars in the UK for 107 years, has signed a three-and-a-half year agreement with the FAW. updated: Wed, 12 January, 2011 14:16 UK. The FAW are set to announce the Association’s new title sponsor. A press conference will be at the Cardiff City Stadium on Wednesday January 12. Manager Gary Speed, Chief Executive Jonathan Ford and other leading FAW executives will all be in attendance. The new sponsor has many exciting new initiatives, and the FAW has said this is an extremely prestigious and exciting announcement. Vauxhall are rumoured to be the new FAW sponsor, part of the deal will see the return of the Home Internationals. Also involved with the FAW as a title sponsor are Macesport. posted: Thu, 6 January, 2010 21:55 UK. The Football Association of Wales will hold a press conference at the Liberty Stadium, Swansea on Thursday, January 13th at 2-30pm. Details will be revealed about the bid to host the 2013 UEFA Under 21 Championship Finals. updated: Wed, 12 January, 2011 14:13 UK. Unfortunately the Football Association of Wales has had to cancel tomorrow’s press conference regarding the launch of the Uefa Under 21 Championship Finals bid for 2013. This will now be re- arranged for next week. updated: Wed, 8 December, 2010 17:14 UK. The Football Association of Wales will hold a press conference at the Liberty Stadium, Swansea at 2pm on Thursday December 9th to officially launch the bid for the 2O13 European Under 21 Championship Finals. posted: Sun, 5 December, 2010 17:40 UK. The Football Association of Wales will be holding the first of 3 Roadshows this month at Stebonheath,the home of Llanelli Football Club on Thursday, January 13th at 7:30pm. In attendance will be the newly appointed manager Gary Speed and the Chief Executive of the Football Association of Wales, Jonathan Ford. A warm welcome to everyone who wishes to attend. posted: Mon, 10 January, 2010 18:47 UK. Closing date for applications � Friday 28th January 2011. The Football Association of Ireland has announced that it has secured a television deal with Sky Sports to show all six Carling Nations Cup matches in February and May 2011 in Ireland and the UK. 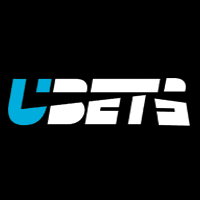 All of the matches will be shown on Sky Sports in 3D, a first for three of the participating teams and the first time Sky Sports will cover a whole international tournament in 3D. Republic of Ireland v Northern Ireland Tue, May 24 2011 Aviva Stadium KO 7.45pm. Scotland v Wales Wed, May 25 2011 Aviva Stadium KO 7.45pm. Wales v Northern Ireland Fri, May 27 2011 Aviva Stadium KO 7.45pm. Republic of Ireland v Scotland Sun, May 29 2011 Aviva Stadium KO 6.30pm. 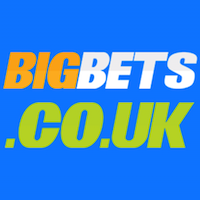 NB: Alongside 3D coverage all conventional Sky Sports channels will also be showing the competition. updated: Sat, 18 December, 2010 10:12 UK. FAW chief executive Jonathan Ford says he expects Brian Flynn to continue in his role of bringing youth through the Wales ranks. "Brian is of course disappointed and gutted not to be appointed the national team manager, That said Brian is an existing employee of the Association, he is the manager of the intermediate squads and ultimately I'm sure Brian will be looking to take those guys forward as he's been doing in the past." - said Ford. - [SOURCE BBC.CO.UK]. updated: Tue, 14 December, 2010 14:58 UK. The FAW have confirmed the appointment of Gary Speed as the new Wales National Team Manager. 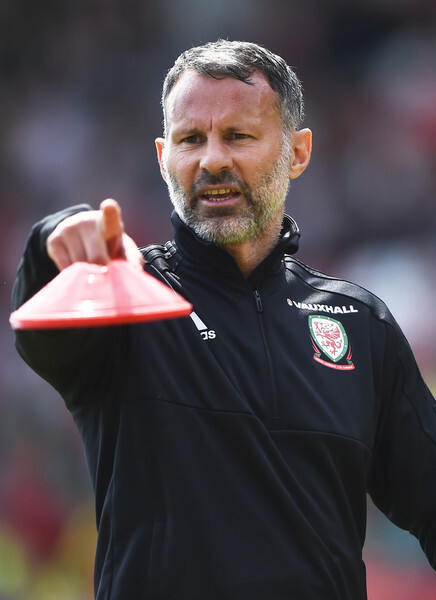 "It's something that's very difficult to turn down when your country comes calling, I am a very proud man at this moment to be asked to be manager of Wales." - said Speed. 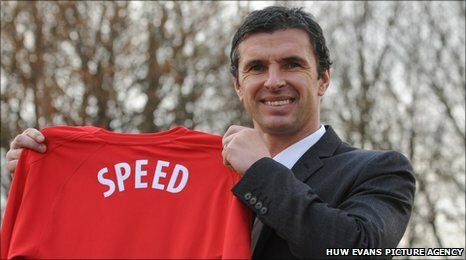 Gary Speed becomes the eleventh manager of the Wales International football team. Gary played eighty-five times for Wales � a record for an outfield player. 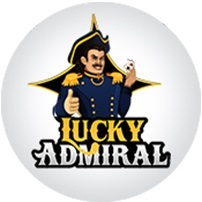 In addition, he captained the side on forty-four occasions. In an illustrious league career, he made 677 club Appearances, scoring 103 goals, either as a midfielder or defender. Born in Mancot, Flintshire on 8th September 1969, he started his career with Leeds United in 1988, making his debut as a 19 year old. In 1992 he helped them win the First Division Championship and he was to make almost 250 league appearances for the Elland Road club. He also appeared in the 1996 League Cup Final. In 1996 he joined Everton for a fee of £3.5m. His next move was to Newcastle United in 1998 for £5.5m He appeared in the club’s two FA Cup Final defeats in 1998 and 1999, as well as playing Champion’s League football. His fourth club was Bolton Wanderers, who he joined in 2004 for a fee of £750,000. During his time at the club, he notched his 500th Premiership appearance. He was to go-on to make a then record 535 Premiership appearances. In 2007, he became First Team Coach at Bolton Wanderers for a short while, before reverting to a player-only role. His final move was to Sheffield United in 2008, initially on loan. After making the decision to finish his playing career at 41, he concentrated on coaching at the club and was then promoted to manager early in the 2010-2011 season. He was awarded the MBE in 2010 in recognition of his services to Football. - statement from faw.org.uk. Speed has yet to appoint an assistant or a backroom team. updated: Tue, 14 December, 2010 14:10 UK. The Football Association of Wales will hold a Media Conference at the Vale of Glamorgan Resort, Hensol at 2pm on Tuesday December 14th. Gary Speed is expected to be become the next Wales manager. The FAW are expected to announce further news from Tuesday (14/12) onwards when the FAW council meet to discuss the applicants for the Wales job. The FAW are set to appoint a new manager by mid-December. A committee, chaired by president Phil Pritchard, will begin interviewing with the aim of appointing a successor next month. According to reports the FAW have drawn up a shortlist. Football Association of Wales have made Gary Speed their No.1 choice in their search for a new manager. [source skysports 09/12/10]. Chris Coleman was interviewed on Tuesday. [source dailymail 09/12/10], Chris Coleman looks like he has now agreed a deal to be the new boss of Greek side Larissa. [source coventry telegraph 10/12/10]. Over the next few weeks the Football Association of Wales will be looking to appoint a National Team manager. The process of looking for a manager will begin immediately and applications from Pro-Licence coaches are invited between now and the end f the first week of November. 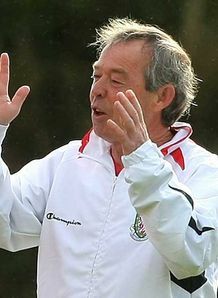 This will be an ongoing process but the FAW would hope to have a new National Team manager in place by December 2010. The priority obviously is to qualify for the major finals but the manager will be expected to play a significant role in the overall development of Welsh football. The Football Association of Wales will hold a press conference on Friday, October 15th to answer media questions regarding the process. posted: Thu, 14 October, 2010 16:05 UK. POLL: Gary Speed the right man? Official Nottingham Forest Auction 2010. All proceeds gained from this auction will go towards the Nottingham Forest 2010/11 Toy appeal. Click on the link (on the right) to bid for items such as Ramsey and Gunter's signed boots as well as a Robert Earnshaw signed shirt! posted: Tue, 7 December, 2010 19:32 UK. Thursday 9th December: Wales v France kick off 4pm. Both matches are free to supporters to attend. updated: Mon, 6 December, 2010 20:40 UK. The Under 16s will take on France in two friendly matches in early December. The matches will be played on Tuesday 7th at The Gnoll, Neath, kick off 7pm. Wales will then face France again on Thursday 9th at Stebonheath Park, Llanelli, kick off 7pm. The side has just completed three matches in the Victory Shield, that included an historic 4-0 win over England. Squad will be announced shortly. posted: Tue, 23 November, 2010 20:26 UK. The draws for the Under 17 and 19 UEFA Championships (2011-2012) have been made in Nyon, Switzerland. At Under 17 level, Wales have been drawn in Group 9 with Serbia, Armenia and Lithuania. Serbia will host the mini-tournament with the matches being played on the 17th, 19th & 22nd October 2011. At Under 19 level, Wales have been drawn in Group 8 with Belgium, Scotland and Slovenia. Slovenia will host the mini-tournament with matches being played on the 21st, 23rd & 26th September 2011.
poste: Tue, 30 November, 2010 10:17 UK.